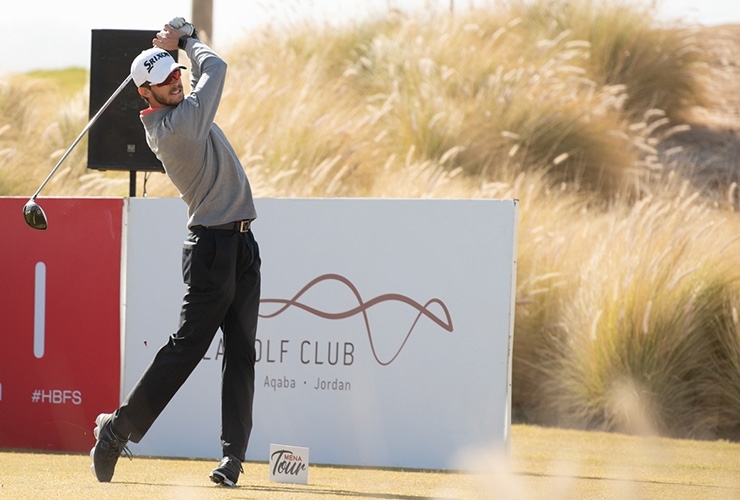 Lucas Vacarisas en-route to victory at Ayla Golf Club in Aqaba, Jordan. After opening the 54-hole event with a course record of 65 on Wednesday, Vacarisas slipped into a share of second place following a second round 74 at Ayla Golf Club. But a closing 69, impressive in yesterday’s blustery conditions, saw the world No. 2004 finish at -9 and win by three from Swede Gustaf Kocken and Englishman Alastair Kinnaird. Another Englishman, Alfredo Curbishley, matched Vacarisas’s course record in the final round, the 65 propelling him up to a solo fourth for one of the 30 cards on offer. There was also a three-way playoff for the final two cards between England’s Mark James, Pakistani Ahmad Baig and Swede William Nygard. Baig birdied the first playoff hole to take his card while Nygard three-putted from 15 feet for par to give James a second chance. Nygard’s personal horror show continued when he hit his drive left into the desert on the second playoff hole, allowing James to secure his “Journey to Jordan” playing privileges with a steady par. “I thought after my second shot on the first playoff hole, I was finished,” James admitted. Mark James claimed the 30th and final MENA Tour card. 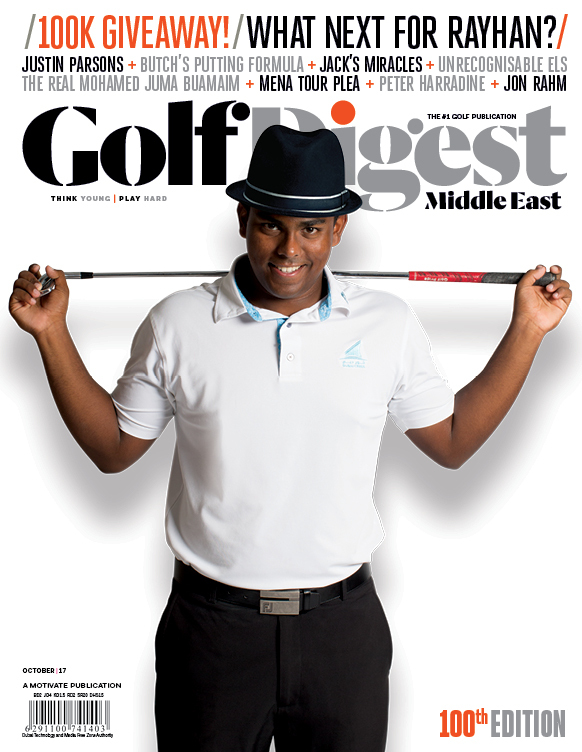 “I hit a good bunker shot to give myself a chance but got lucky that William three-putted. Then I had to take my chance and I hit a good drive to put myself in position. 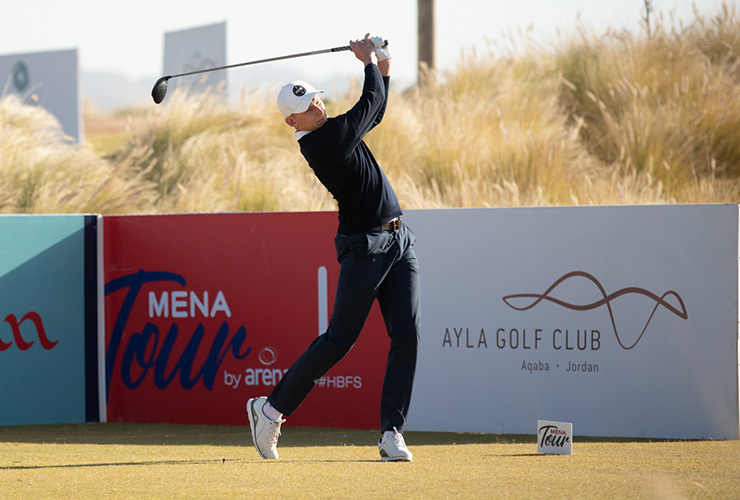 The 10-event Mena Tour proper opens with a $100,000 event back at Ayla Golf Club from Feb. 8-11 – but not before another 54-hole qualifier beginning on Sunday. For full scores and qualifiers from the Category A qualifier, click here.